We are a group of scouts consisting of children, juniors as well as adults who all enjoy to experience the wonders of nature and to make friendships and brother-hood. We want to know more tomorrow then we know today. The motto of the scout movement “learning by doing” is very important to us. We have weekly meetings with wolfs, juniors the scouts. We are also going on tours where we sleep in tents, in shelters and in huts. We think that our work with the scouts is fun and valuable when we hear a wolf saying: “My dad thinks it was cool to come to my post” or when a junior member of the staff patrol utters when climbing a tree in which he has built a climbing tower “If I was not a scout, I would probably never be climbing so many trees and that is cool”. We willingly engage ourselves in other activities, e.g. Halloween, and on the whole we are of the opinion that it is important to engage ourselves locally. Our scouts express many things. Just now, however, right after the corps camp in Skive “20:10” all their attention is drawn towards the new group of friends in Tunisia. e.g. at a meeting a scout said: “I have been on face book with Ahmed and Khaled. They asked me to give you their love”. 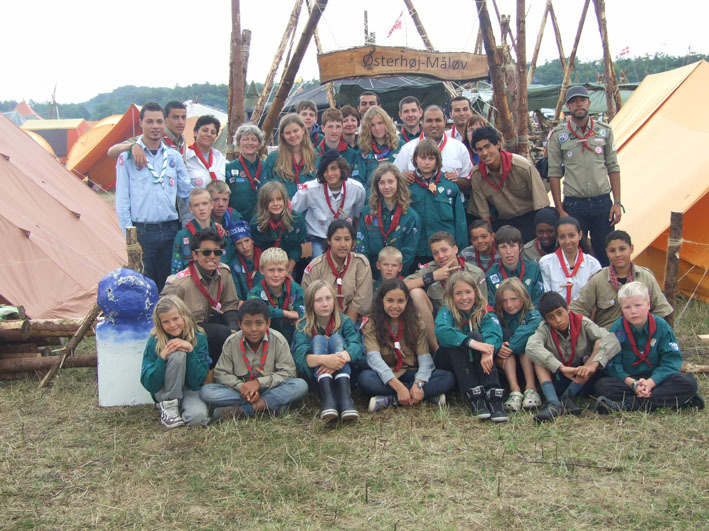 We want to give children and juniors the possibility of meeting scouts who have another culture, another language and another religion, enabling them to make friends and create understanding for each other in “The big, small world”. We would like to make our group of scouts even more manifold and trust that our international cooperation will contribute to fulfil this aim. The meetings with wolfs, juniors and scouts take place in the cottage “Hytten on Kratvej” (just opposite Måløv church). You can also find more information on the group council, on our leaders and look at our calendar showing our activities. You are welcome to visit us during a meeting in order to find out what it means to be a scout or call one of the leaders.